According to The South African (23 October 2018) a new book by Vusi Mavimbela (a former South African government intelligence chief), claims President Thabo Mbeki in 1999 did not want Jacob Zuma as his deputy because he saw him as a corrupting influence on South African politics and on the ANC. To read the South African article click here. If correct, it is uncanny as well as unsettling. And it is NOT what the international community fought for when supporting the anti-apartheid movement throughout the 20th Century. And to add insult to injury, in addition to all of the known corruption associated with Jacob Zuma during his tenure as President of South Africa, ANC parliamentarians have now voted to give Zuma an extravagant pension. It is an abuse of power that the great liberator, Nelson Mandela, would cringe at. Awarding a very wealthy former president with such a pension is an offense to South Africa’s poorest of the poor who are still awaiting their liberation from centuries of colonial oppression. Instead, they are left wallowing in poverty, living in shantytowns, while the wealth of South Africa is manipulated to the benefit of some who should be their guardians and protectors. The following video gives a short inkling of what Jacob Zuma represents, and it is not what the international community and the oppressed majority of South Africa fought for. Click here to view. The ANC used its majority in Parliament on September 12, 2018, to muscle through the pension benefits of former President Jacob Zuma after opposition parties rejected it. When one references Zuma’s outrageous pension to the dubious wealth he and his family have accumulated, it becomes an insult to the poor, whose votes the ANC will covet in all forthcoming elections. A total of 197 ANC MPs voted in favour of approving Zuma’s pension and 95 opposition members voted against the motion. The opposition on September 12th refused to back a motion tabled by ANC chief whip Jackson Mthembu that the House must approve the pension benefits of Zuma. The former president left office early this year after he was recalled by the ANC. During a parliamentary debate, opposition MPs said Zuma did not deserve to get any pension because of his alleged involvement in state capture and other shenanigans. They said he did not deserve to get a cent from state coffers. The law requires that all former heads of state are entitled to a pension after retirement and other benefits. The great contrast. Where are the pensions for the poor? Democratic Alliance chief whip John Steenhuisen said South Africans had paid enough for Zuma. 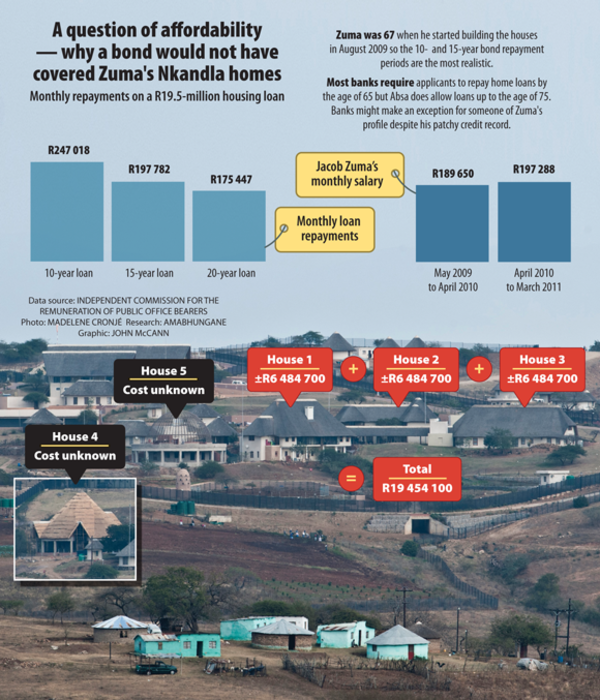 He said the almost R17 million in legal fees, the upgrade of his house in Nkandla and state capture issues were enough that taxpayers had paid for. The Economic Freedom Fighters (EFF) also said Zuma must not be paid a cent because there were serious findings against him by the Constitutional Court on Nkandla and the revelations in the Zondo Commission of Inquiry into state capture were sufficient to show his presidency was mired in controversy. “We must not forget that Mr Zuma did not stand down willingly, he stood down because we were going to impeach him and was going to lose all his benefits,” said EFF MP Sam Matiase. But the ANC said he was not impeached, but his departure followed the decision of the ruling party.